Custom Drawstring Sports Packs Personalized in Bulk. Promotional, Cheapest in America. Purple, Royal, Lime, Forest, etc. Customized Drawstring Sports Pack Printed in Bulk. Promotional, Cheap. Purple, Royal Blue, Lime Green, Forest Green, Navy, Orange, Athletic Gold, Maroon, Carolina Blue, Black, Pink or Red. Budget Prices in the USA and Canada. Wholesale Personalized Drawstring Sports Pack on sale. We also supply blank (not custom imprinted) bulk Drawstring Sports Packs. 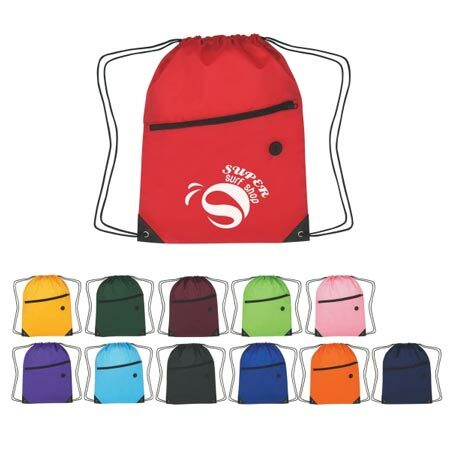 Lowest cost in USA and Canada for promotional Drawstring Sports Pack. American clients pay no taxes.